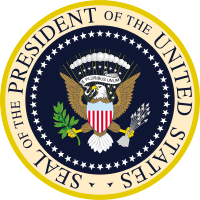 The 1992 State of the Union address was a speech given by President George H. W. Bush to a joint session of the 102nd United States Congress on January 28, 1992. This was the last State of the Union address by President Bush, who lost his re-election bid to Bill Clinton in the 1992 election. 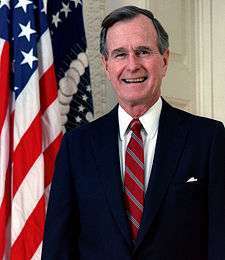 Seeing increased division in American media and politics, Bush denounced election-year partisanship and described the popular sentiment as a passing mood. The speech lasted 51 minutes and consisted of 5,012 words. The Democratic Party response was delivered by the Speaker of the House, Representative Tom Foley of Washington. Foley, speaking for 12 minutes, criticized Bush's economic recovery plans as being the same as those that led to the recession and argued for more support of the middle class instead of wealthier Americans. Edward Madigan, the Secretary of Agriculture, served as the designated survivor. ↑ Woolley, John; Peters, Gerhard. "Length of State of the Union Messages and Addresses (in minutes)". The American Presidency Project. Retrieved 2011-02-20. ↑ Woolley, John; Peters, Gerhard. "Length of State of the Union Messages and Addresses (in words)". The American Presidency Project. Retrieved 2011-02-20. ↑ Woolley, John; Peters, Gerhard. "List of Opposition Responses to State of the Union Addresses". The American Presidency Project. Retrieved 2011-02-20. ↑ Schaefer, David (January 29, 1992). "Contentious Foley Vows To Fight -- Speaker Blames Economic Ills On Gop Policies". Seattle Times.